A 47-year-old man, Kazeem Adebayo, has been arrested over the alleged murder of his lover, Abosede Adesanya. Adesanya’s corpse was reportedly found by the police in a shallow grave in the lover’s house. It was gathered that the deceased was declared missing on January 25, a day after she left her house in the Ijebu-Igbo area of the state. Adebayo was said to have called the deceased on the phone in the presence of her mother, telling her that he had got a plot of land she wanted to buy. It was learnt that the 30-year-old woman left home for Adebayo’s house with a sum of N530,000 and promised her mother to come back on the same day. The mother became curious when Adesanya did not return home and her line was switched off. She reported her missing at the Ijebu-Igbo Police Division and investigation was commenced. The Police Public Relations Officer in Ogun, DSP Abimbola Oyeyemi, in a statement on Friday said Adabayo was invited by the police at Ijebu-Igbo division, but he denied knowing the whereabouts of the deceased. He said the state Commissioner of Police, Ahmed Iliyasu, directed that the case be transferred to the State Criminal Investigation and Intelligence Department for thorough investigation. Abimbola stated, “The suspect who resides in Ijebu-Igbo was arrested following a complaint by the mother of the deceased, one Amoke Onasanya, who lodged a complaint at the Ijebu-Igbo Divisional Headquarters on January 25 that her daughter received a call from her lover on January 24, 2019. 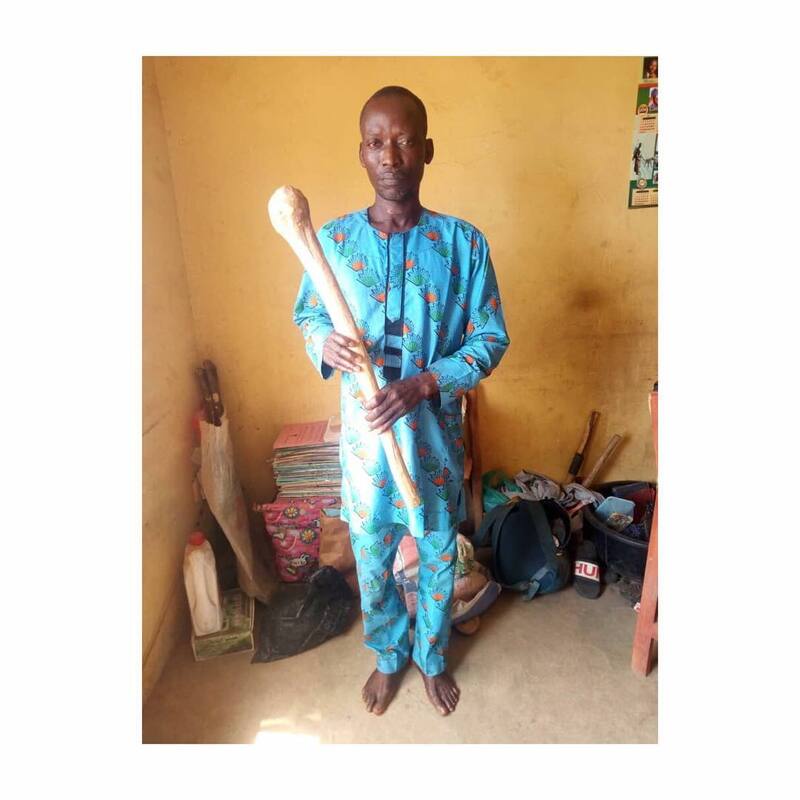 The lover claimed to have got a plot of land for her (Adesanya) to buy for her mother, consequent upon which the deceased left home with the sum of N530,000. The police spokesperson explained that investigation by detectives from SCIID led to the discovery of a shallow grave inside the suspect’s house. He said the lover confessed to the crime after the decomposing body of the victim was found in the grave. “He confessed further that he used a club to hit her on the head, which led to the woman’s death and subsequently buried her in his house, in order to cover any trace of the woman’s death to him. He also confessed that he used N30,000 out of the money he took from the deceased to settle an outstanding debt while the remaining N500,000 was being kept with one of his friends,” Abimbola added. He said the corpse had been deposited in a morgue for postmortem, adding that the suspect would be arraigned soon.